Seller will give you a gift certificate in the amount of 5,0393 RUB for a positive review of the product purchased. You find yourself on an abandoned island. How to survive? Collect the survival guide pages! Find food, water and shelter before you die. Create more than 100 types of weapons and tools. - Three characters with unique characteristics. - Island with terrible monsters. 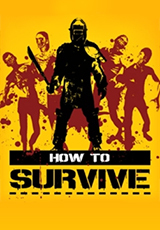 - Collection of "Survival Guide". - Playing with friends offline or online. - The difficulty of "Iron Man". Seller will give you a gift certificate in the amount of 5,0393 RUB for a positive review of the product purchased..